In some Districts like Latehar, Saranda and Giridh. Many posters and writings of PCI (maoist) have appeared, these ones are calling the youth to join the People’s Guerrilla Liberation Army ranks. 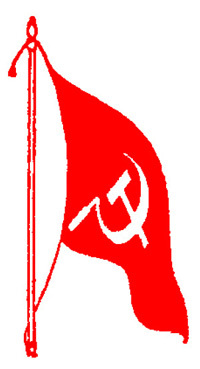 Two maoists sentenced to death! International mobilisation it needed! On Wednesday, a court sentenced two Maoists to death for shooting down a police superintendent and five other policemen in Dumka district (Jharkhand) five years ago. Sanatan Baski and Sukhlal Murmu, aka Pravir Da, were sentenced while the other five were acquitted for lack of evidence at a hearing on 6 September. Yesterday, it’s the capital punishment that was inflicted on them. The duo reportedly killed Pakur’s police chief and five of his colleagues in an ambush near Kathikund as they returned to Pakur after attending a meeting in Dukma on 2 July 2013. Pravir Da, a member of a Special Area Committee of the PCI (Maoist) was already serving a life sentence since August 9, 2016 after being convicted in another case. Nine students’ bodies from Nepal, Philippine, Bangladesh and other states of India including Socialist Students’ Union of Manipur (SSUM) of Manipur has expressed strong condemnation to the September 20 midnight crackdown by security personnel inside Manipur University complex. In a joint statement signed by Bhushan Longjam, Secretary General, Socialist Students’ Union of Manipur, Pesal Dahal, Secretary, All Nepal National Independent Students’ Union (Revolutionary), Siddharth Samtani, President, United Students’ Democratic Front, Kolkata, Priya, Publicity and Publication Secretary, Revolutionary Student-Youth Movement, Bangladesh, Arunank, General Secretary, Democratic Students’ Union, Telangana, Chiranjiwi Dhakal, President, All Nepal National Independent Students’ Union (Revolutionary), Kara Lenina Taggaoa, National Spokesperson, League of Filipino Students, Prasanna, State Committee Member, Chaitanya Mahila Sangam, Andhra and Telangana and Sushil of Democratic Students’ Union, Delhi University, the Sept. 20 crack down by police at Manipur University is being term as a barbaric act of Political Conspiracy by RSS and BJP under Hindutva Fascism. “We strongly condemn the incident of Manipur University that happened at the midnight of 20th September where a number of Security Forces came and arrested 90 Students and 6 Professors and put them jail by using Mock Bombs and Tear-Gas Shell in Manipur University Hostels”, the joint statement said. It added that Students of Manipur University had been suffering for completely 85 days by the Total shut down of University and students did not have the chance to have classes and even exams. For this serious matter, a MoA (Memorandum Of Agreement) was signed in between Manipur Govt. Protestors and MHRD to bring the normalcy of the University to conduct exams and to result out the pending exam results. During this bringing up of the normal Environment in MU, the BJP Govt. of Manipur is again reviving the conflicts. “We, the Students from aboard and from India strongly demand the immediately release of the arrested Students and Professors (associated with the Mid-Night Crack-Down) without any conditions. After the Mid-Night Crack-Down in the Manipur University campus, the BJP govt. have shut down the Internet services in Manipur. Actually this shows the Dictatorship of the BJP Govt. which they suppress the rights of the citizens. “In order to support and help the Political Nominee of RSS, VC Pandey, life of thousands of Students have been tortured. The normal timing of the Students’ Exam has been already 100 days late and again by this new Military Crack Down, the life of the students would loss more from before. Not only here in Manipur, with the coming of BJP Govt. in Central India, many other Universities have been attacking by RSS-BJP. In Manipur also, students’ and Teachers of Manipur University have been attacked Under the strict supervision of RSS-BJP. The joint statement while condemning act term it as BJP-RSS against the Students’ and Teachers community. The statement also demanded immediate release of the arrested students and teachers and also those who have put in jail without any conditions. The Bharatiya Janata Party (BJP) won the 2014 general election partly by promising development or vikas. On May 25, 2018, Mr. Modi, India’s Prime Minister and the supreme leader of BJP with a unique ability to connect to certain sections of the public, said this on Twitter: ‘On this day in 2014, we began our journey of working towards India’s transformation’. He added: ‘Over the last four years, development had become a vibrant mass movement, with every citizen feeling involved in India’s growth trajectory. 125 crore Indians are taking India to great heights’ (italics added). One should ask, and many are asking: To what extent has development really happened under the BJP government? ; how has India been transformed? Using online content from media and national and international institutions, this article empirically examines India’s development under the BJP regime, in terms of its economic and social-political aspects, in what I will call ‘Modinopolitics’ (economics and politics of Mr. Modi and his ‘team’) working? The paper has 5 sections. In section 1, I discuss the economic development record of the BJP government. In sections 2 and 3, I show how the ultra-rich are gaining enormously, and how the poorer segments are, more or less, losing under this government, respectively. In section 4, I show the government’s record of political development, including democracy and social harmony. In section 5, I summarize the discussion, and comment on the government’s publicity campaign and its implications for understanding its failure. Economic growth — increase in per capita Gross Domestic Product, or GDP per capita — is one of the indicators of economic development. Other things constant, a situation of rising GDP per capita is, better for common people than one where it is not rising. There is little to suggest that economic growth has been stellar during the 2014-2017 period (even if the calculation of GDP has been mired in controversy) (Figure 1). If anything, the numbers have declined. This is thanks to not only the regressive GST which has hurt small-scale producers, but also to demonetization the logic of which has not yet been clear. It should be noted that the government has kept on changing its own explanation of its policy of demon-etization from eliminating corruption to terror funding, to formalization of economic transactions by reducing cash use, etc. ), and that the failure of the policy has not been admitted by the government. Could it be that: this policy was introduced on behalf of, and at the behest of, a segment of the capitalist class that deals in e-technologies or e-transactions, but was justified in terms of the benefits for all. In any case, the lacklustre performance in terms of economic growth is in spite of the fact that the new government, installed in May 2014, enjoyed three advantages: a recovering global economy post 2008 crisis, and falling oil prices, due to which the country received a bonanza of 6 lakh crores in revenue; as well, the government has also had an absolute majority in the parliament . Another important aspect of development is physical infrastructure. The government has rightly laid stress on this, and has achieved some success. The number of electrified villages has increased since 2014 (all villages are now electrified, which is a major feat), although that does not mean that all or even the majority of people in a newly electrified village have access to electricity: only 7.3% of the villages newly electrified under the new government have 100% household connectivity . A village may be connected to the electricity power grid but there may not be power for most of the day, and even if there is power, all villagers may not be able to afford to buy power. Also note that: the rate of growth in electricity generation has been coming down (Figure 2). Similarly, while 36 million LPG connections have been issued over the last two years under the Ujjwala scheme, this is not reflected in the consumption of cooking fuel. The rate of increase in consumption of LPG is not rising (Figure 3). This is in part because people cannot afford the gas on a continuous basis as compared to kerosene and firewood. Millions of families who have an LPG connection – and an extremely high percentage of poor families who have been given a connection by the government — do not have the resources for refills . Note that people are not given free gas: they have to pay for the stove and the cylinder. The picture with respect to the construction of national highways has been generally positive: 4410 kms in 2014-2015 and almost 10,000 kms in 2017-2018 (Figure 4). Of course, one should bear in mind that while the target was to construct 41 kms a day, the actual achievement has been no more than 23 kms per day. Building on the good work done by the previous regime, the new government has enhanced rural connectivity. 120,000 kms of rural roads were built in 2014-17 period, and this is a remarkable achievement, but it is a false claim made by BJP that this achievement is an all-time high : One should also note that the pace of rural road construction has not shown any increasing trend between 2016 and 2017. Development is more than about an increase in income/wealth (artha). It is more than about an increased availability of bijli, sadak and pani, although all these are necessary. Development is a multi-dimensional process. A better indicator of development is the Human Development Index, which takes into account income as well as education and health conditions. On the human development front, India has not made any progress under the BJP government (Figure 5). The BJP government has emphasized the importance of development in the form of: sabka saath and sabka vikas, or in other words, inclusive development. Inclusive development is a laudable goal. But does the government promote this? Luckily, there is a new development index that seeks to capture this interesting idea. Designed by the World Economic Forum as an alternative to GDP, the Inclusive Development Index (IDI) reflects more closely the criteria by which people evaluate their countries’ economic progress. The IDI index is based on: growth and development (GDP per capita; labour productivity; life expectancy and employment); inclusion (median household income; income and wealth inequality, and poverty rate); and intergenerational equity and sustainability (public debt level; carbon intensity of GDP, etc.) . India’s IDI score was 3.38 in 2017 and slipped to 3.09 in 2018 (Norway, the top country, has a score of 6.08) (Figure 6). Among the developing economies, India’s IDI rank was 60 in 2017 and it slipped to 62 in 2018. Another alternative indicator of development is the Happiness Index, which is based on the values for six of the key variables that have been found to support well-being: income, healthy life expectancy, social support, freedom, trust, and generosity . Out of a total possible score of 10, India’s score has been shrinking (Figure 7). Its rank (1 = best) is also going down among the community of nations: its rank was 122 in 2017, and it slipped 11 places to 133 in 2018 (not shown in the graph) . The government is generally doing a good job for the business class, which played a critical role in installing it, including through secretive election funding and the dissemination of pro-BJP ideas through a compliant and communalizing media controlled by this class. The Ease of Doing Business Index, which indicates improvement in the business environment in terms of whether regulations for business activities, including labour-related regulations, are simpler (read: mainly pro-business) and whether their property rights are well protected: India’s rank has increased from 142 in 2015 to 130 in 2017 and 100 in 2018 (Figure 8). The fact that the business class is benefitting from the government is also indicated by the fact that India’s stock markets have been doing rather well during its tenure. More than any other section of the population, it is the business class which is experiencing achhe din. In the context of increasing ease of doing business, one should consider the fact that the ultra–nationalist government has been selling off the wealth of the nation itself (e.g. public sector enterprises) to the business class, with an increased zeal, relative to the previous government (Figure 9). It is also privatizing or keen to privatize the nation’s natural resources (e.g. forests). It is also giving away the nation’s financial resources in the form of loans from public-sector banks to the private sector . The loans issued from nationalized banks are becoming non-performing assets (NPAs) (Figure 10). The BJP government, like the previous one, continues to write-off loans (i.e. financial resources of the public) that the big business owes to public-sector banks (Figure 11), and the number of write-offs has increased by almost 2 times between 2014 and 2016. While this is done quietly, any talk of loan waivers to farmers in distress becomes a big noisy issue and is seen as a threat to India’s global credit-worthiness by the rating agencies and others. ‘The chief economic advisor [says] that writing off bad loans of the corporate sector makes economic sense, because ‘this is how capitalism works’’ . And the story of the transfer of nation’s resources to the ultra-rich – the story of the loot assisted by the nationalist government — does not end there. The government’s watch on capitalists is so relaxing that thousands of bank frauds are allowed to happen (at the rate of one fraud every 2 hours in the last 5 years since 2013), costing the nation billions of rupees (Figures 12-13). Bank frauds, more or less, mean that the ultra-rich, who are mainly of the business class, including those who are politically well-connected and who can even mingle with the leaders of the nation at home and abroad, are allowed to milk the nation’s banks, at the expense of the public. The period from 2013 to March 1, 2018 saw as many as 23,866 cases of fraud, of 1 lakh rupees or above in each case. A total of 1,00,718 crore rupees was involved in all the cases put together (Hindu, 2018). In early 2015, the total size of bad loans (gross NPA) in the banking sector was around Rs 3.2 lakh crore. This amount jumped to 8.41 lakh crores on December 2017. The total size of bad loans has now (mid-2018) ballooned to nearly Rs 10 lakh crores, 3 times more than 2015. The banking sector woes have ‘caused a collapse in availability of credit to industry which then spiraled into low investment by the private sector and consequently low fixed capital formation’ (Chakravarty, 2018) . One can also say that when the nationalized banks’ resources dry up in the fraudulent way that they are, these banks’ ability to serve the ordinary people (both in terms of amount of lending and the cost of sending) will be compromised . That is not all. Failing to recover tax dues from corporates, the Income Tax (IT) department is sitting on a pile of Rs. 50,000 crore of tax arrears. The IT Department has now started writing off thousands of crores of tax arrears by corporate defaulters on the ground that their economic health is not sound . This is yet another form of corporate loot of the nation. Whether one considers the write-off of tax arrears or of the loans owed to public sector banks by the business class or whether one considers the sale by the government of society’s natural resources (land and forests) to this class, all this is simply a form of a loot: the business world takes something from society without giving it the equivalent. If Britain looted Rs 91 lakh crores at current rates over 300 years from India , one can compare very well the amount of loot of India’s resources by the Indian (and foreign) capitalist class, fully assisted by politicians and bureaucrats, in the name of development and transformation. The government is blatantly pro-business. A part of this relation is a package of government’s welfare for the corporates. The government-assisted loot of society’s resources by the business-world discussed earlier can be seen as this package. The package also includes the fact that the government has anti-labour policies (e.g. allowing employers to hire and fire freely; not increasing minimum wages, using coercive forces to break unions and social resistance, and so on) by virtue of which corporates are allowed to super-exploit workers by paying them minimal wages, in order to swell their profits. So, the government’s and BJP’s promise of sabka saath and sabka vikas is in reality corporates ka saath, corporates ka vikas. It is indeed not surprising therefore that: the number of dollar billionaires in India was 109 in 2014, and this number has increased to 136 in 2017 (Figure 14). The new regime has made little difference to the continuing tendency towards the concentration of net wealth. This is further confirmed by the fact that: in 2014, there were 230 individuals on the Hurun India rich list compared to 617 in 2017 (with a cut-off of Rupees 1000 crores) (Figure 15). Many super-rich individuals have black money abroad; given the strong ties between the government and the business class (including through secretive electoral funding whose secretive nature the current government protects), the government’s promise to bring back black money and to deposit 15 lakhs in every citizen’s account, like many other promises (one of Mr. Modi’s statements was ‘I have decided if you bless me and give me the opportunity I will bring back all the black money’) has melted into thin air. One should note that the business class (or the ultra-rich stratum), and the political class (law-makers/politicians) very well overlap: the ultra-rich become politicians, and politicians become the ultra-rich. According to the Association for Democratic Reforms (ADR): ‘the average assets of the 46-member Council of Ministers [which was sworn in 2014] is Rs. 13.47 crore…Of the 44 ministers analysed, 40 (91 percent) are crore patis’. Note that more than 92% of Indians have assets that are worth Rs. 600,000 or less. ADR further reveals: ‘Four of Modi’s ministers have declared more than Rs. 30 crores worth of assets’ . Not surprisingly, the share of the nation’s wealth held by the top 1% has continued to grow under the BJP government: from 49% to 58.4% (Figure 16). The richest people are increasing their share of the nation’s wealth faster under the nationalist government than before. Wealth is, ultimately, generated on the basis of labour of common people who have to work for others for a wage/salary and who receive only a small part of what they produce, and on the basis of the use of nation’s natural resources. Now, in 2017, a whopping 73 percent of the new wealth generated went to the richest one percent of the nation’s population. In the last 12 months the wealth of this elite group increased by Rupees 20,913 billion. This amount is equivalent to total budget of Central Government in 2017-18. Indian billionaires accumulated Rs. 4891 billion in the last year only. Under Mr. Modi’s rule, the ultra-rich have become richer. In 2013-14, the last year before Modi took over, corporate profits were Rs 3.95 lakh crore. By 2016-17, with Mr. Modi’s saath (help), corporates have experienced real vikas: corporate profits had risen by nearly 23% to reach Rs 4.85 lakh crore in 2016-17 (ibid.). It is not just wealth that is being unequally distributed. Income is being unequally distributed as well: the share of the richest 1% of Indians in the country’s income has been increasing. The vast majority of people depend on wage-employment for a significant part of their income. The situation with respect to unemployment and wages has not been satisfactory at all (Figures 17-18). The situation is grave, if one considers the number of the unemployed along with that of the under-employed , and those, including millions of women, who have left the labour force because of their failure to get a job. The unemployment situation is a far cry from the promise made by the government, of 10 million jobs every year. According to IndiaSpend on an average 2.13 lakh jobs have been created every year in the 2014-2017 period. According to the third Mood of the Nation survey conducted in May 2018 by Lokniti-CSDS-ABP News, one in every four voters saw lack of jobs as the biggest problem facing the country, and nearly three in every five voters (57%) said that finding jobs in their area has become more difficult during the last 3-4 years; this figure was 49% in January 2018 . The promise of creation of self-employment through schemes such as the Mudra Yojana which provides small loans to small-business people is simply deceptive: the average amount of loan has been less than Rupees 50,000; with such a small amount one can never set up an enterprise that will generate revenue for a family to lead a life beyond poverty. Barely 1% of all mudra loans are substantial amounts (i.e. at least 5 Rupees) . A person’s economic living standard, if one is a wage-earner, depends, more or less, on the number hours/days she/he is employed and the wages he/she receive per hour/day. Not only are employment opportunities scarce (and precarious). Wages (both nominal or real – inflation-adjusted — wages) also remain low, and show little sign of improvement under the new government. Wages for the low-skilled workers have indeed been falling (Figure 18). The remuneration for wage-workers (and the self-employed) are just not enough for them to lead a decent life. Almost 7 out of 10 Indians live in villages. The rural people dependent on casual labour are among the neediest. In part due to the pressure of the Left the previous government had started a massive rural employment creation programme (MGNREGS). How has the BJP government treated this programme? The job-creation for the rural poor has been almost stagnant in the last couple of years after an initial increase, and the investment on this programme has been inadequate (Figures 19-20). Note that the 48,000 crore allocation in 2017-18 which appears to be higher than the previous year’s allocation, actually includes pending liabilities from last year, estimated at Rs 10,778 crore. Note also that this allocation ‘is barely 53% of what is required to meet the States’ for work under MGNREGA’ . The rural employment program is not generating enough employment per household (Figure 21). Note: numbers for 2010, 2011 and 2012 are estimates. According to a recent RBI report , rural wage labourers experienced a high wage growth rate between 2007 and 2013 (partly thanks to the better effectivity of the rural employment program), but the growth rate in rural wages came down during the 2014-2018 period, in part because the momentum of the employment program has been dampened . More specifically, between October 2013 and October 2013, rural wages (in nominal terms) increased by 15%, but the wage growth between 2014 and 2017 has significantly come down to about a third of this rate  (Figure 22). Figure 22: Percentage Growth Rate of Rural Wages (Nominal) 2007-2017. Given the highly dissatisfactory situation with respect to employment and wage growth, it is not surprising that while income and wealth are getting concentrated in the hands of a few (top 1-10%) under the BJP regime, the bottom half (or indeed a section that is larger than the bottom half) is not doing that well. Under Mr. Modi, while the rich have become richer, the poor have become, more or less, poorer, or are not doing much better. For example, in 2017, more than 70% of the new wealth generated went to the richest one percent of the population, as mentioned above, while the vast majority (670 million Indians comprising the poorest half of the population) saw just 1% increase in their wealth. While the richest 10% of Indians control 80.7% of nation’s wealth in 2016, and the richest 1% control 58.4% of nation’s wealth, consider the fact that the bottom half owns a mere 2.1% . While the trend of increasing inequality preceded the Modi regime, the control of the ultra-rich over the nation’s wealth has increased faster after 2014. With the ultra-rich doing as well as they are, there is no sign of the relative position of the majority improving at all. The worsening economic situation of the majority is expressed in many ways. When the unemployment situation is not satisfactory, when wages are not rising fast, it is not surprising that millions cannot meet their basic needs. According to the Lokniti May 2018 survey, referred to earlier, the percentage of voters who are not able to fulfil all of their needs and face some or much difficulty has increased from 53% to 67%, just between Jan 2018 and May 2018. A country that aspires to be an economic power must meet the most basic needs of its poor, and especially, the need for food. Yet, hunger is rampant. The Global Hunger Index (GHI) study combines indicators that measure the extent of undernourishment in the population and the extent of undernourishment and mortality of children under five. The GHI index ranks countries on a 100-point scale, with 0 being the best score (no hunger) and 100 being the worst, although neither of these extremes is reached in practice (Figure 23). The hunger index and scores for India are getting worse. Another way in which the worsening situation of the vast majority is expressed is the agrarian crisis. There is little sign of the agrarian distress being mitigated: over the 2014-2016 period only, no fewer than 36,362 farm-dependent people have committed suicide (i.e. 2 cases of suicide every hour). These numbers generally exclude women. Not getting a remunerative price for their crops is a big problem for farmers everywhere. People do not live by chawal and daal alone. They need freedom. Mrs. Indira Gandhi probably did not understand this in the 1970s when she declared emergency. She and her party paid a price. How has India been doing under the BJP government in terms of political freedom? Arguably, there is an undeclared emergency, an undeclared war on freedom, in the name of vikas, patriotism, nationalism, Hindu pride, etc., which complements a war on the living standards of common people. Consider the ‘Democracy Index’. This index is based on five categories: electoral process and pluralism; civil liberties; the functioning of government; political participation; and political culture. Based on their scores (on a scale of 0 to 10, where 10 = best) on a range of indicators within these categories, each country is given a score. Although there is still a democratic tradition in India, the degree of the country’s democratic character is shrinking, as seen in changes in this index (Figure 24). A free press is an important part of democracy. The degree of press freedom is, more or less, decreasing (Figure 25). This is corroborated by the assault on journalists who dare to speak the truth and to criticize wrong actions/thinking of the government and of the (militant-communal) forces. The new government has been promising good governance. Connected to this promise is the rule of law. The graph on rule of law presents WJP (World Justice Project)’s Rule of Law Index. Based on more than 110,000 household and 3,000 expert surveys, the index measures the rule of law across eight factors: constraints on Government Powers, Absence of Corruption, Open Government, Fundamental Rights, Order and Security, Regulatory Enforcement, Civil Justice, and Criminal Justice. Scores range from 0 to 1, with 1 indicating the strongest adherence to the rule of law. Countries are ranked on the basis of scores: higher the rank, the worse the rule of law. Among the 113 countries ranked in 2017-2018, India’s rank is 62, indicating a bad situation in terms of rule of law. There is very little improvement in the score for the rule of law. The new government had promised to eliminate corruption through increasing public awareness, e-governance, etc. What is the reality? Corruption is reduced when, other things constant, common people have the freedom to keen an eye on politicians (esp. of the ruling party) and government officials. A society where the rule of law is not well adhered to and where there is a threat to freedom of press (Figure 25) and secular civil society organizations, from right-wing violent mobs and from the state institutions steeped with right-wing ideas, such a society will tend to have high level of corruption within the government institutions. The Transparency Corruption Perception Index uses a scale of 0 to 100, where 0 is highly corrupt and 100 is very clean. India’s corruption score has remained unchanged at 40. In 2015, the score was 38. India is among the “worst offenders” in terms of graft and press freedom in the Asia Pacific region, according to Transparency International. Since 2015, India’s world ranking in terms of corruption has been getting worse (Figure 26). India’s corruption level in the public sector seems to be not getting better, in spite of the government’s promise to provide clean governance, in spite of its promise of sahi niyat. As far as everyday corruption is concerned, a survey — by the Centre for Media Studies — reports in 2017 that 43 per cent of households feel that the level of corruption has increased in the preceding year. This is petty corruption, something that households face in their day-to-day life. At the top, secretive election funding by corporates (through electoral bonds), a policy that is promoted by BJP, is a major form of corruption made legal: a company will not give millions to a ruling party and/or provide material and ideological-social support to its vote-garnering forces masquerading as cultural organizations, for nothing. A corporate, or a group of corporates, can buy an entire policy package, and not just this or that specific intervention on behalf of a company (e.g. buying a piece of government land for less than the market price by paying some politicians and officers a lot of money), and when an entire policy is bought, that is corruption but is not seen as that. It is quite likely that the total donations to BJP controlling the current government are several times the donations to all the other parties put together. One of the best ways to show that a party is non-corrupt is for it to tell the public who is funding it and how much, and better, to introduce a policy of state funding of elections. BJP will not do either. In fact, it has made it impossible that the money that came for the 2014 elections can be investigated. A society that does not respect the rights of women and children is a society with which there is something terribly wrong. In this context, one may want to seriously reflect on the fact that number of crimes committed against women and children in big cities has been increasing under the BJP regime (Figure 27). Similarly, the dalits, who, like the aboriginal people (India’s Adivasis), are a group that need the most amount of respect from the nation: as workers (and as petty producers) they are most exploited, and as ordinary citizens, they are most oppressed. Instead of ensuring their dignity, society is increasingly violent against them, because their views and practices may not conform to those of the upper-caste elite which supports the government. The number of crimes committed against dalits in big cities has been rising since 2014 (Figure 28). According to NCRB, 40,801 cases of crime against scheduled castes were registered in the country as a whole in 2016, compared to 38,670 cases in 2015, an increase of 5.5%. Similarly, 6568 atrocities against Adivasis were recorded in 2016, compared to 6276 in 2015, a rise of 4.6% . ‘These two most oppressed sections of society together make up about 25% of India’s population. The manuvadi and Brahmanical approach of the Sangh Parivar towards these sections is primarily responsible for their increasing marginalisation in the years against Modi rule’. (ibid.) It is not surprising therefore to hear one BJP leader say this about dalits: ‘To us they are like a side dish, a pickle. You need a finger-lick (of the pickle) between mouthfuls to get your food down. But they can never be the main course. It is ok to interact with them, in party offices. But our cultures are too different to sit down with them at home’ . Their haath (hand) is needed as workers and as voters, but their saath (their company) is shunned because they are perceived to be very low on the caste hierarchy. Uttering the name of Mr. Ambedkar, who was one of the most progressive and secular persons of modern India, while having nothing to do with his ideas or practice, is one of the most hypocritical things a party and its leaders (and their paid-for savvy speech-writers) can do. That sort of strategy might result in some votes from some disillusioned dalits (and aboriginal people), but it will do nothing to improve their economic and social conditions. Words do not fill a stomach. Empty words are worse at doing that job. There is an on-going increasing attack on the freedom of religious minorities, which is really an attack on the very democratic set-up of the multi-religion, syncretic nation. The incidents of communal violence — including violence by cow-vigilantes who act against those who deal in and/or eat beef, and for whom cows’ lives are, apparently, valued more than human lives — have increased during the tenure of the BJP government (Figures 29-30). Between 2014 and 2017, there was one communal incident, on an average, every 12 hours. And in these incidents 389 people were killed (between 2014 and 2017) and 6969 were injured (in 3 years from 2015). It should be noted that: ‘An estimated 700 attacks have taken place on churches, clergy, carol singers, Christmas and Easter events and missionaries across the country in the past 4 years’ . Not surprisingly, India’s record is getting worse in terms of what is called the Social Hostilities (religious unrest) Index : In 2014, this was 7.9, which increased to 8.7 in 2015 (10 = worst) (Figure 31). It has become a common electoral practice to engineer a communal riot, polarize votes and win elections, so several months prior to a major election, communal riots happen. And once a communal party is in power, further communal attacks happen as the attackers know they will be, more or less, protected by the government (See Figure 30). Communal riots give the economically desperate lumpen elements a sense of satisfaction that they are capable of doing something in life. But they fail to understand that they are merely pawns in the larger communal-corporate game. Mistakenly called fringe elements, these forces are central to the whole saffron enterprise: they help the BJP garner electoral support by polarizing votes along religious lines. So the BJP government cannot but support them. If you are a dalit or a religious minority or indeed a woman who wants to live like an ordinary citizen with all the rights that men enjoy, or if you are someone who is against the regime of unreason, religious obscurantism, and on-going attacks on secular ideals, and who is courageous enough to speak the truth, if you are any of these, then your life is one of fear, and not freedom. This is what the largest democracy of the world has been reduced to, not without the support, tacit or not, of the so-called democracies of advanced capitalism. Note that often biases of those running the government and those helping the government against women and their biases against Muslims, are mutually reinforcing. Atrocities against Muslims are often conducted through an attack on the body and dignity of Muslim women . record of development during the BJP regime is an epic of dismal failure. According to the Prime Minister (or his erudite speech writer), development has become a vibrant mass movement. This is only in written or spoken words, however. Words are important. Yet, word ≠ world. There is development, but of the ultra-rich and not for the masses. Development as a mass movement is a beautiful idea. I like it. Development should become a mass movement. It will become a mass movement when masses, democratically self-organized, move to take control over their lives. Development will become a mass movement when the masses (toiling workers and small-scale producers) control how nation’s resources are used — i.e. when they are able to decide and say that nation’s resources, which are, more or less, products of their own labour interacting with nature, are used to satisfy their needs, and the needs of the business class for profit, the needs of the political class for accumulating election funding and power, and the needs of the top and pliant bureaucratic and intellectual layers for their financial and other privileges. It is indeed the ultra-rich, along with their political and intellectual backers, that has had an achhe din. But the economic and political conditions under which the masses, the vast majority of women and men of different castes and religion, live and work have been quite distressing. What I will call ‘Modinopolitics’ (Modinomics + Modipolitics) – which is the political economy of not an individual but of a right-wing and communal movement/party — is, more or less, a complete failure. This is a complete failure if we consider the issues that affect the lives of the masses such as: unemployment and under-employment; low wages; increasing concentration of wealth and income; agrarian crisis; increasing attack on democracy and secularism and attendant communalization of society and polity, and so on. One indirect indicator of the overall failure of the government is the amount of money it spends on publicity. People are not experiencing development as much as BJP would like them to believe. So, it is spending millions on publicity on creating illusions. ‘A recent RTI query revealed that the Modi government had spent Rs.4806 crore on publicity of its achievements in its four years of rule, from 2014-15 to 2017-18. That’s more than double the amount spent by the two UPA governments. This barrage of publicity through all media platforms is meant to create the illusion that the Modi government, which won the 2014 election promising Achhe Din for Indians, has fulfilled its promises’ . This amount of money is people’s money, including, potentially, from excise duties on petrol and diesel, because of which their prices are so high, and can be spent on their well-being. The need for the creation of illusions arises when there is a gap between what the ruling class and its government actually do for the people on the one hand and the life that people actually experience on the other. But people’s objective experience in their lives is registered in their consciousness, sooner or later, even if inadequately. There is a limit to how much and how long mere propaganda can make people believe in falsehood. When jobs are not created, when wages are not rising, when the rich are getting richer, when the farm crisis sees no sign of abating with farmers not getting a fair price for their produce and for hard work, then all these issues do get registered in people’s mind, and create dis-illusions with the government. This process happens, however inadequately, unevenly, slowly, and contradictorily. Some people (31% of voters, and even a smaller percentage of the electorate) had supported the BJP government, which had made lots of promises a few years ago, but the level of support of this numerical minority has been declining. They are not buying the idea of religious hatred and hyper-Hindu-nationalism smacking of fascistic tendencies, as much as they might have earlier. Many are beginning to understand that the division between Hindus and non-Hindus in contemporary times or in the past is not at all the cause of their life’s problems such as low wages, unemployment, and indebtedness. Many are understanding that India as a nation is not under attack the way the right-wing Hindu-nationalist forces want people to believe, and that indeed the forces that the nation is under attack from – i.e. powerful governments, companies and institutions of the imperialist world, and the big business houses of the country itself super-exploiting and oppressing the toiling masses – are the forces that the Hindu-nationalist government itself is a big supporter of. This government is hiding its character in part by calling itself nationalist. In fact, the forces supporting this government, given their divisive-communal agenda, are a threat to the nation and unity. A change of consciousness is happening. Since 2014, BJP has been losing one election after another, and its vote share has been declining. At the recent by-election in Kairana, Uttar Pradesh, in which BJP lost its seat, such a change of consciousness was captured by the Jinnah vs Ganna debate being settled in favour Ganna: while a grand coalition of Muslims, Dalits, Jat farmers and people from OBC background have — rightly — highlighted livelihood issues (including the fact that farmers have not received the dues for their sugarcane or Ganna) vis a vis the BJP’s divisive politics of religious identity fought around a photograph of Mr. Jinnah at Aligarh Muslim University. Lies and false promises and raking up historical issues with little relevance for people’s lives cannot always counter the facts of life. People should critically reflect on the false promises of the party-in-power and on the dismal record of its government on development, democracy and governance. This failure is not coincidental. It is written in the very DNA of this right-wing, pro-business, pro-market, government which has been implanted on the poisonous soil of putrid communalism. Both the soil and the plant are bad for the nation and for the world at large. Those in the business world cannot also be allowed to maintain their ‘silence’: they must be asked by the masses whether they support or oppose communal-fascistic forces. Ordinary men and women are seeking to deepen and defend their democratic rights, including the right to practice any religion, to eat any food, to engage in occupation or to love anyone, and they are seeking a life of economic security. And in doing this, they must be conscious of what binds them: what binds them, irrespective of their different religions, is the fact that their democratic rights (including secularism) and their right to a decent livelihood, are under attack by this government, while the rich elite in control of big business and their right-wing lackeys (hangers-on) in academia and media are having achhe din (good times). BJP and its authoritarian government, and all the reactionary forces on the ground supporting them, must continue to face the collective and democratic might of the toiling masses and progressive intellectuals. There is, and there can be, no force that is more powerful than the united force of the workers and small-scale producers when they are organized and when they are conscious of what their problems are, who are responsible for their problems, and how to fight them. If they withdraw their labour from the farms, factories and offices, or if they do not bring the products of their labour to the market, the system is in big trouble. It is time that the masses of India (and of South Asia) begin to fundamental questions about what kind of society they are living in, what kind of society they wish to live in, and how to get there. The author gratefully acknowledges the generous assistance from Ms. Ashley Chen (M.A.) of Toronto. Ashley has constructed all the figures used here based on the data supplied to her. She is, however, not responsible for the content nor for any errors in the discussion. One should note that: even if growth becomes faster in the near future, unless it is combined with policies to directly benefit the masses, growth itself would mean nothing. This index captures qualities of at least the first two of the three forms of happiness that Hinduism talks about (physical or bhautik happiness; psychological or manasik happiness, and spiritual or adhyatmik happiness). Besides, such frauds will have a serious impact on the economic health of the banks, and this will be used as a justification to privatize them, i.e. to hand them over to the business class which is responsible for the bad economic health in the first place. It is a form of loot because the business class is using public resources, including publicly-funded social and physical infrastructure, and has its income and wealth protected through government’s apparatuses, all of which costs money, but this class does not pay the full cost of these resources, as the non-payment of tax arrears partly indicates. They include: people with higher qualification engaged in low-skilled work, and those who are looking for full-time jobs and are able to get only part-time employment. During the latter period, the average number of person-days for each household employed under MGNREGS, as did the number of households getting 100 work days a year. 51.7 lakh families got 100 days of employment in 2012-13 and 46.6 lakh families got 100 days of employment in 2013-14. But it has drastically come down to 24.9 lakh families in 2014-15 and a dismal 20.45 lakh families in 2015-16. The Modi government has cut the financial allocation under MGNREGA. While the UPA government spent Rs 39, 778.27 crore and Rs 38, 552.62 crore on the scheme in 2012-13 and 2013-14, respectively, the spending went down to Rs 36, 033.81 crore and Rs 34, 226.80 crore in 2014-15 and 2015-16 respectively. ‘The BJP and the Hindutva brigade have a very clear view on women. However, this is in no way homogeneous. Their view on Muslim women is very different from their view of Hindu women. However, what is common is that they see the role of women in society, to be merely an auxiliary for men. The following is an attempt to paint a picture of the women through the lens of a Hindu nationalist. Let’s come together in defense of democracy and the oppressed and exploited people! On august 27, the Pune police raided the houses of several prominent democratic rights activists, and those who have been raising strong voices against oppression of dalits ,tribals and minorities. Advocate Sudha Bhardwaj, Varvara Rao, Gautam Navlakha, Arun Farera and Vernon Gonsalves were arrested. Police also raided houses of press reporter Kumarnath, priest and activist Stan Swami, democratic rights activist and author Anand Teltumbde and members of Revolutionary Writers Association – Aseem and Kranti. Police seized their laptops, harddisks, mobile phones, diaries and other electronic equipment, without providing them copies of the data stored on these devices. We all strongly condemn these repressive steps. In a democratic country such repressive measures against the people should never be undertaken. The police has clearly aimed, through these vicious acts to falsely implicate these activists in Bheema-Koregaon violence case, falsely implicate them in the alleged plot to kill PM Modi and to spread rebellion in the country, because these activists have been stoutly raising their voice against the severe repression, unleashed by Modi Govt against dalits, minorities, tribals and toiling masses; continuously unmasking the undeclared emergency imposed upon Indian people by the Modi govt. ; and its patronage and protection of lynching-mobs and Hindutva terrorism. Modi Govt wants to stifle these voices by putting them behind bars in fabricated cases, as it has done in to other intellectuals, human rights defenders, artists and lawyers, earlier in Bhima-Koregaon case. Going beyond this, a two-fold wicked move is underway, by raising the bogey of the alleged conspiracy to kill Modi. On the one hand, on the pretext of danger to Modi’s life ground is being prepared to launch an all-out violent onslaught on the democratic rights of the people and unleasing communal and State violence against human rights defenders. It is in fact the continuation of such steps undertaken in the past to usher in totalitarianism regimes, like the Reichtag (German Parliamen) fire and Baroda Dynamite plot in India which were used as tools to facilitate and justify the emergence of Hitler and Indira Gandhi as dictators. BJP mandarins are also making preparations to win 2019 elections by raising the bogey pf danger to Modi’s life. To achieve it, mischievous and misleading propaganda blitz – in which Sangh-parivar enjoys extra-ordinary skills, has already been launched in the media, consistently blaring the terms “Maoist conspiracy” and “Urban Naxals,” to make the propaganda effective. All this is part of a pre-planned strategy of Sangh-parivar and state machinery to crush the peoples struggles and dissenting voices. Noted writer and activist Arundhati Roy, while slamming the police action against human right defenders, at the instance of Modi Govt, has pointed to the graveness of the situation, “We are close to the declaration of emergency. Instead of raiding the houses of lynching-mobs and day-light murderers, raiding the homes of advocates, poets, writers, Dalit activists and intellectual shows where we are heading to. What is happening is very dangerous. It is preparation of coming elections. We can’t allow this to happen. We shall have to unite against it, otherwise we will lose the freedom we cherish. The above statement by Arundhati Roy fully depicts the gravity of the situation. We the writers, thinkers, teachers, advocates, educationists, economists and democratic minder intellectuals of Punjab have come forward to to play our historical role of cautioning the people about the fascist acts of present regime. Earlier too, when efforts were made to silence the writers through saffron terror we had strongly protested. Let us unite and strongly oppose the intimidation and terrorizing of democratic rights activists through arrests and searches. Principal Jagdish Singh Ghai- Writer & Educationist. Prof Harjinder Singh Atwal, Jalandhar. Principal Ret. Daljit Singh Bhagta. Prof Rabinder Nath Sharma, Senator, Punjab University, Chandigarh. We express our outrage at the coordinated and simultaneous nation-wide arrests of intellectuals, poets, lawyers, journalists, and civil rights activists Sudha Bharadwaj, Gautam Navalakha, Vernon Gonsalves, Arun Ferreira, and Varavara Rao on August 28, 2018. We strongly condemn the coordinated raids and humiliation of eminent Dalit scholars K. Satyanarayan and Anand Teltumbde; as well as civil rights activists Father Stan Swamy, Kranthi Tekula, KV Kumarnath, and Susan Abraham. Simultaneous raids took place in Mumbai, Delhi, Ranchi, Goa and Hyderabad. This latest round of arrests and raids should be understood in the context of a brutal crackdown on dissenting voices fighting the majoritarian Hindutva politics and the corporate loot sponsored by the state, in different parts of the country. The arrests followed weeks of slander on corporate media, and were a spectacle of unchecked state power. The State’s justification for the arrests and raids has kept shifting. This round of arrests is part of an ongoing trend to create a climate of fear. On June 6th 2018, leading human rights lawyer Surendra Gadling was jailed along with the Dalit rights activist and journalist Sudhir Dhawale, Mahesh Raut, civil rights activist Rona Wilson and Professor of English Shoma Sen. The police broke into the houses of these activists, ransacked their houses, confiscated all books, computers and cell phones, and humiliated the activists and their families. An increasingly majoritarian Indian state has unleashed a wave of violence against the religious minorities, educators, students, writers, journalists, and civil rights activists. The term ‘urban Naxals’ has been employed incessantly by media and politicians to smear the legitimate work of civil rights activists and divert attention away from severe structural economic concerns and Hindu terror. It is no mere coincidence that most of these activists have been at the forefront of fighting upper caste oppression against Dalits, communal hatred against Muslims, as well as corporate plunder that has rendered the Adivasi/Moolvasi population of India increasingly destitute. As corporate capital and Hindutva forces gain deeper control of the Indian polity, and as the nation prepares for the general elections of 2019, we are likely to witness an intensification of intimidation, arrests, murders, lynchings and repression of Dalit, Muslim and Left political formations. We stand in solidarity with these people and denounce the state and non-state regime of terror. We salute the people’s resistance against the Hindu corporate State. We demand the immediate release of those arrested as well as an independent and impartial inquiry by the National Human Rights Commission into the circumstances of the arrests.